Fred Aja Agwu, PhD, is a Research Professor at the Nigerian Institute of International Affairs (NIIA), Lagos. 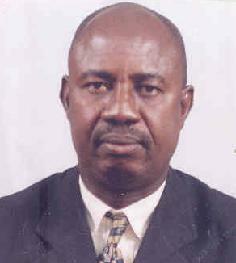 He is the Editor of the NIIA Flagship Journal, the Nigerian Journal of International Affairs (NJIA). And he is the author of the following five books: The United Nations System, State Practice and the Jurisprudence of the Use of Force; World Peace through World Law: the Dilemma of the United Nations Security Council; National Interest, International Law and Our Shared Destiny; The Law of Armed Conflict and African Wars; and From Rebellion, Insurgency to Belligerency: The Niger Delta Oil War in International Law. He has a wide ranging expertise in Public International Law, especially the Law of Armed Conflict. He is currently doing a work on the foreign policy of African states and has published extensively in international relations in general.